Home News Why should I try learning English online? Learning English used to mean sitting in a classroom at the same time every week, feeling a little self-conscious and wondering if your questions will seem silly to the other students. Times have certainly changed as more and more people choose to study English online, either as part of a group or one-to-one with a native English teacher. 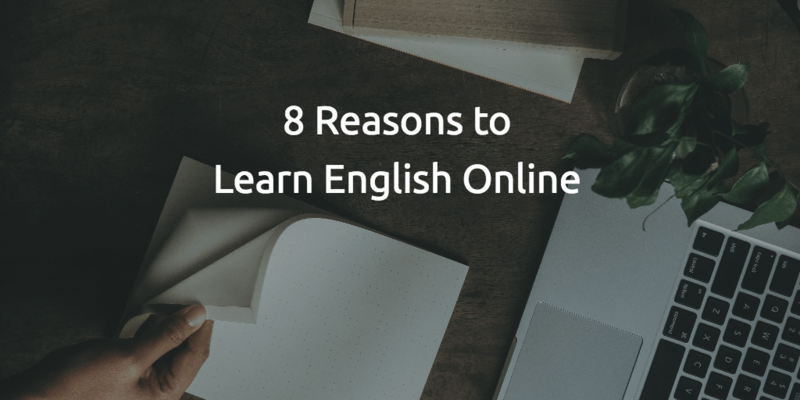 Here are 8 reasons why you might find online English lessons the best way to learn. There never seems to be enough time in the day to do everything we would like. It can be difficult to stick to the same schedule every week and getting to an English class on time seems almost impossible. Despite our best efforts, taking English lessons can get pushed down the list of priorities and that New Year's resolution is ignored once again. That's why online English lessons are the perfect solution. You can schedule your lessons at a time that suits you; it could be a different time every week! Who wants to spend more time than is absolutely necessary squeezed onto public transport, stuck in a traffic jam or tackling crowds of commuters on the street? Bricks-and-mortar language schools can often be tricky to access, especially during the evening rush hour. Online English lessons allow you to take your class anywhere you like, as long as you have a quiet room with a reliable internet connection. At Intrepid English, we are as flexible as possible, so you can fit your English lessons around your busy schedule. Whether you are going away on holiday, taking a business trip, feeling the pinch after an expensive month, or snowed under at work, there will be occasions when it's just not possible to take an English lesson for a little while. That's not an issue for Intrepid English students. You have complete control over your English lessons so you can take a break from your lessons without losing any money. Picture this, you've been attending the same English classroom at the same time every week, but last week you were ill with the flu and couldn't make it. This week you're back in your usual seat, but your classmates are talking about what they've learned while you were away. Learning a language is hard enough without having to make up for lost time. Now imagine you are recovering from the flu at home, wrapped up in a warm blanket with a hot cup of tea. It's a great feeling to know that you can take your English lesson without even leaving your armchair and continue from exactly the place you reached during your last lesson. Which option sounds better to you? Say goodbye to boring English lessons! Discuss incredible TED Talks, study market-leading text books, learn all about Britain, prepare for globally recognised exams with an experienced teacher, explore your favourite English books or improve your conversational English by talking about any topic that you find interesting. If you're not sure what you want to learn, let your teacher choose from the huge range of English courses that have been created with our students' in mind. You don’t have to share your teacher’s time with anyone else if you don't want to. All Intrepid English courses are designed for one-to-one tuition. However, we recognise that it can be really helpful to talk with other English learners, hear a variety of perspectives on learning English and discuss goals and challenges as a group. Some students like a combination of both one-to-one lessons and a group conversation class. So, with a 60-minute group conversation class at the same price as our 40-minute lessons, why choose one when you can have both? Learning English doesn't just happen over night, it can take several years to reach your English-language goals. 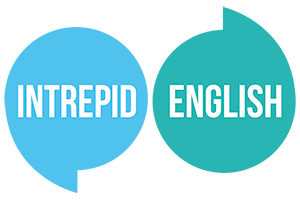 Here at Intrepid English, we understand that you would rather spend your money on one-to-one, tailor-made English lessons with an experienced native teacher than on a generic audiobook or a large group class in the city. That's why we offer up to 10% discount on lesson bundles, and even offer free lessons to students who refer their friends to Intrepid English. So, if you are still wondering if online English lessons are right for you, why not book a free trial lesson today and talk about your learning goals with an experienced native English teacher. This could be the year you finally reach your English goals!